In April last, the Ortega regiem announced it was raising payroll taxes and cutting pension benefits to bolster a hemorrhaing social security program. In this Feb. 8, 2019 photo, a Sandinist ruling party banner and a national flag fly outside the Instituto Nicaraguense de Seguro Social (INSS), in Managua, Nicaragua. 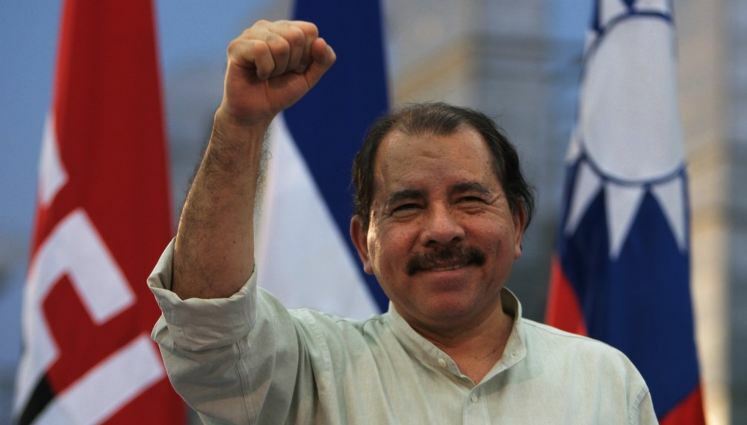 The unrest led President Daniel Ortega to reverse the announced changes. 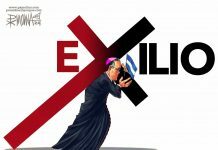 But the protests continued and Nicaraguans demanded that Ortega and his wife and vice-president, Rosario Murillo, step down. A harsh crackdown ensued that resulted in the death of mre than 300 people, thousands detained and more than 50,000 fled into exile, of which 40,000 in neighouring Costa Rica alone. Now, with the dissident movement disheartened, a new plan to cut pension payments by 30% to 40% and a raise in payroll taxes is taking effect. And economists and businesspeople are warning that it threatens to have even more severe effects for Nicaraguans and could plunge the country into deeper recession and unemployment. “This measure is absolutely much more drastic since it’s not gradual but instead immediate, and it will affect the nearly 800,000 insured in the country,” said Mario Arana, who was minister for development, head of the Treasury and president of Nicaragua’s Central Bank during the 2001-2006. The social security package was approved in January by the Ortega dominated legislature and took effect Feb. 1. Businesses with over 50 employees will see their social security tax payments rise from 19% percent to 22.5 %t of pay while the tax on a worker’s wages will go from 6.25% to 7%. The tax on independent workers increases from 18.25% to 22.25% of income. The tax that funds disability, age and death insurance programs is rising from 10% to 14%. 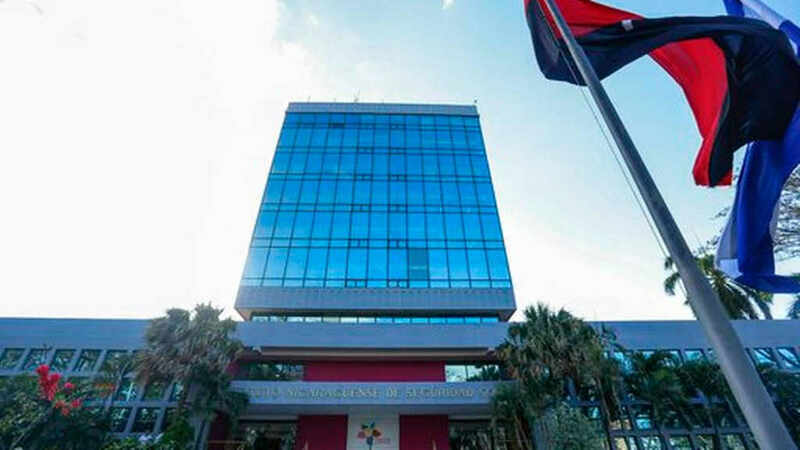 Saenz assures the Instituto Nicaraguense de Seguro Social (INSS) – Nicaragua’s social security – was operating with a US$60 million surplus when Ortega returned to power more than a decade ago (in 2007), but its administrative costs more than doubled and its payroll more than tripled. The International Monetary Fund (IMF) has been warning since 2017 that the social security’s troubled finances threatened what had been relative stability in Nicaragua before the socio-political crisis. The economy had been averaging annual GDP growth of about 4.5% since 2014. Despite the new tax increases, the country has not seen a repeat of last year’s mass protests. 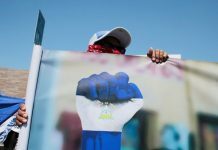 And it seems unlikely to, since Ortega has forcefully quashed the challenge to his power, including effectively outlawing opposition demonstrations since September. According to the Central Bank of Nicaragua, more than half (about 58%) of the workers who receive social security payments get less than US$307 a month. The cost of the basic monthly food basket stood at US$415 as of December 2018.